Ecosystem services may be defined as those beneficial and not so beneficial aspects of a functioning ecological unit that can be made available to human communities. Ecosystem services can be seen as primary and secondary services provided by topographical, atmospheric, hydrological or landscape features of natural areas. 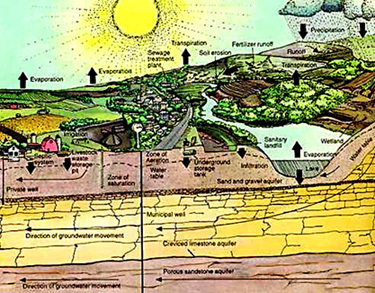 Because ecological systems process materials and energy is such a manner as to distribute food and resources in a timely and periodically predictable manner, services can be derived from, but may be disrupted by the removal of essential elements, keystone species or capacity straining activities on the part of any dominant species. A well functioning ecosystem has what we call integrity. Laws of Ecology govern how these primary and secondary services are performed and thus become available to species. 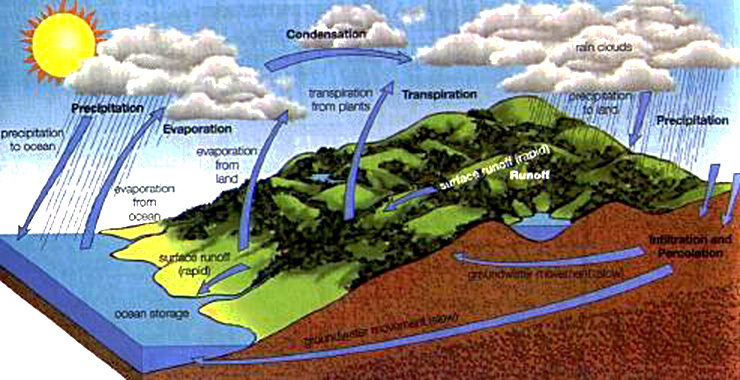 These services are valuable because ecosystems function as a unity of processes and a forum of functions that cycle over time to sustain communities because they maintain optimal conditions by supplying the trace elements that would otherwise rob an ecological community of the means to support growing populations and diverse adaptations to changing external and internal conditions. 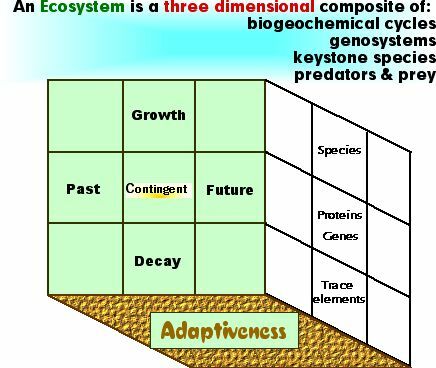 For growth to continue, decay must also occur removing wastes so that past adaptive strategies of organisms can be made available to future generations. This is largely done by genetic systems that may be as complicated as ecological systems; hence the name genosystem on the above diagram.